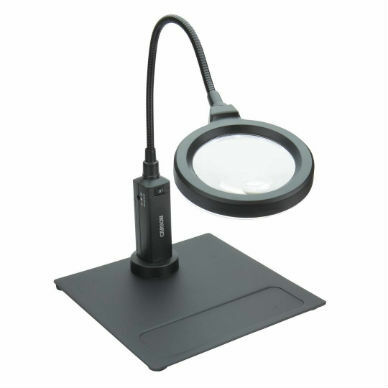 This Hastings Triplet Lighted 10x Magnifier is a useful, high-quality instrument. 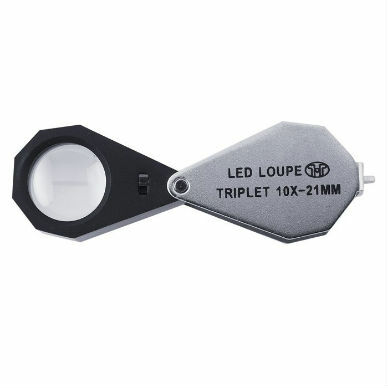 It features six LEDs around the lens (lighting all sides of the specimen equally), with 5500 Kelvin white light. 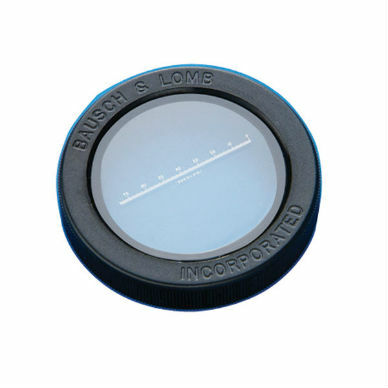 The three bonded lenses are highly corrected for spherical and chromatic aberrations, producing a sharp and distortion-free image across the entire field of view. There is a small, switch on the housing for turning the light off and on. 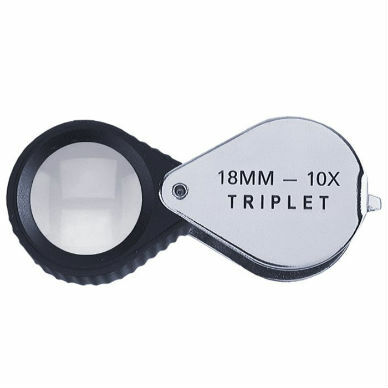 Uses three wafer batteries which are included, and it comes with a special tool for opening battery compartment door. Packaged in a snap-close leather-like case and a gift box. 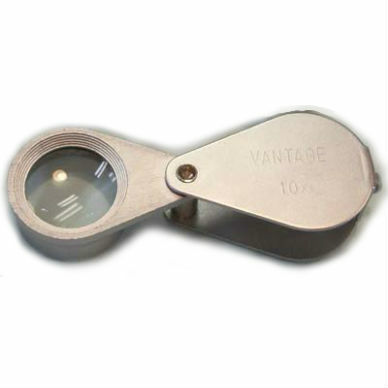 Click here to learn the proper way to use a hand lens.